Our busy food pantry is grateful for the service we have received from Tri-State! From design of where our walk in cooler and freezer would go to completion and maintenance of all our refrigeration we have been very pleased. Ray did an excellent job adjusting the air flow for my kitchen hood exhaust yesterday…. he listened to what my/ our concerns were and took the time to determine what was needed to be accomplished to obtain what I/we were looking for. I have noticed an immediate improvement in the area. Hello, I just wanted to say thanks for the quality of work that was done at the bar. You guys were “top-notch” for the value of the work that was completed . Thanks again. We had the following company, Tri-State Mechanical Services, do work for us at our church, Green Trails United Methodist . Their quality of work was exceptional. They worked in their set time frame and were very easy to deal with. The type of work we needed done was unique and part of a larger construction project. We had a commercial hood installed along with an ice maker machine and some refrigeration units were changed out. They were very cooperative when things were changed in the middle of the job. We really appreciated their timeliness in finishing and everything they did in getting the project completed. We would highly recommend them. We recently remodeled our restaurant in St Charles. Greg and his team at Tri-State Mechanical installed new exhaust hoods for us. We are so pleased with their work. They are efficient and professional. They did a great job at a reasonable price. I strongly recommend Tri-State for all your HVAC needs. time. So Id give them 5 stars for a over all good company. Thanks Greg, your guys did excellent work. The exhaust hood, gas lines and kitchen work turned out great. Right on schedule. You saved us a ton. I was told by other contractors that the gas leaks would several months to repair in our building but your guys got it done in 1 month. You treated it as an emergency and were very efficient. I will always continue to do business with Tristate. I have been using Tri-State since 2006, when I first met owner Greg Bruyere. Since then, they’ve been my one and only source for ALL my equipment repairs, including multiple refrigeration units and a double decker conveyer oven. They’ve always been dependable, personable, and the work is of the highest quality. Tri-State also performs quarterly maintenance to ensure my equipment performs at the highest level year round. I’ve recommended Tri-State to many of my fellow restaurant owners, and will continue to do so. always frendly and willing to explain in detail any questions you have. if it were his own. Thank you for all your hard work on our new system. We are very thankful for the attention to detail, particularly by Greg. Wonderful Job! Unfortunately, our restaurant suffered a fire, late last year; thankfully, however, Tristate was hired to put in our new hood and exhaust system. Everyone that we worked with made getting ready to re-open a little less stressful. I was extremely pleased with the work done and how friendly and helpful everyone was, in what was a difficult time for us. 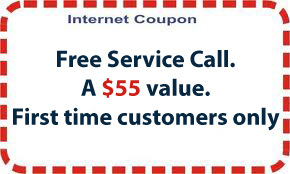 We would highly recommend your company and plan to use Tristate for any future maintenance or service needs. While dealing with move, construction and daily work/ responsibilities, we had to ensure that we would be ready to welcome seniors on a very tight timeline. Greg always came through. His colleagues are friendly, knowledgeable and efficient experts and Greg is a caring, kind and a dedicated man. Working with Tristate was not just work, but easy, fun and delightful. Their dependability, humane treatment and caring attitude leaves the customer satisfied not only with top quality of their work but also with a great quality of the interaction. I am very pleased to give Tristate thumbs up and will use their services in the future! I run a high volume restaurant and can’t afford down time. Tri State and Greg are always available and able to meet my needs with great temporary and permanent solutions. A great company that cares! I write this letter in recommending Greg Bruyere and his firm ‘Tristate Mechanical Services Inc.’ as a Heating and Cooling General Contractor. They undertook the installation of the HVAC system in our recently rehabilitated Church building; which is new home for our Church. I can recommend Tristate highly and without reservation. Throughout the process, Greg was focused and professional. He was accurate in his initial assessment of the scale and cost of our project He chose and managed his team well. I think (and so do many others in our congregation) that we have a wonderful outcome. Thank you for working with us and doing such a splendid job. It is so nice to know there are service companies out there still that care about their work and reputation and your company really shows that! We hired Tri-State to disconnect, move and reconnect two floral coolers. commercial coolers installed and serviced! I have a lot of experience in restaurant design, and building. 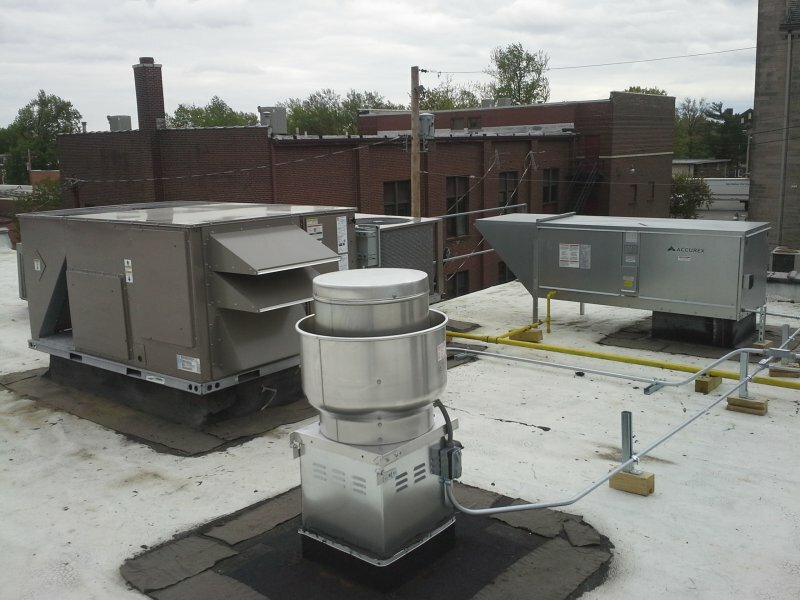 When I had the need for a mechanical contractor to Bid and install my kitchen ventilation system, I chose Tri-State mechanical. Their workmanship is second to none, and the mechanical systems function as designed. Tri-State fabricated and installed custom stainless panels and the work was flawless. Inspections, as a necessary part of any large project, went smoothly with Greg and his staff. We greatly appreciate all they did to ensure that my restaurant opened on time, and within budget. other refrigeration problems. Thank you. 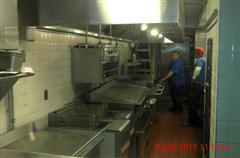 We are so glad Tri-State was our mechanical contractor while building out the restaurant. They handled our HVAC work, engineering and design, hood installation, refrigeration, and gas lines. Everyone from Tri-State worked really hard to finish everything on time. No matter what challenges came up during the project, they just kept pushing on. They certainly understand what it means to put the customer first. The installation of our new freezer/cooler was smooth and trouble free. We are happy with the finished product and were well informed through the installation process of any changes in the time line due to unexpected conditions. The crew was efficient, polite, and did not interfere with our daily processes. We were very pleased with the process from start to finish. So far I’m very pleased with our service from Tri State. We had them replace a 10 ton air condition unit. They are Prompt, Professional and get the job done. We have several bids on the table and I’m interested in their maintainance program. Our Soft Serve machine was installed in a very timely and professional manner. The specialist that installed the machine, Greg Bruyere was fantastic! He was informative and extremely helpful in training myself and the associates. He even went the extra mile as there was additional work that needed to be done for this particular installation. We are very please with our Soft Serve machine and our customers love the ice cream!! Your customer service is great and I would definitely recommend Tri-State Mechanical to any of my friends, family or professional peers. When I needed a new HVAC unit I called Tri State and Greg came out and set me up with a new high efficient unit and didn’t try to over sell me on extras. The team at Tri State scheduled a time that worked for me and when they showed up they were really professional. Then they helped me to get the utility rebates, which was a nice bonus.